My image today is one I captured late this summer and added to my pages of Kansas wildflowers here on the Blog. This is Blazing Star Gayfeather. 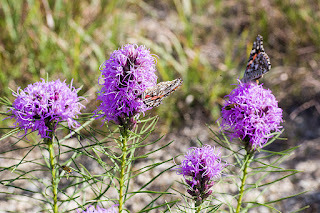 I captured this during the explosion of Painted Lady Butterflies in the area so there is also a butterfly bonus.